An erratum to this article can be found at http://dx.doi.org/10.1007/s00464-015-4156-3. Guidelines are the bridge between science and clinical practice . Science is a dynamic process and it is continuously evolving. Consequently, there is a continual development of new insights necessitation updates of existing guidelines. For this update, the authors concentrated on studies with level of 1 and 2 evidence. All references are marked with the level of evidence, according to the Oxford classification. In general “Recommendation Grade D” does not constitute a recommendation, but in some instances it is shown in the text to indicate lack of quality data. We recommended all readers to download the original statements and recommendations , for fully appreciation of the Update Guidelines on Laparoscopic Hernia Surgery. Updates should include issues that were not yet sufficiently covered in the original guidelines or those which have gained increased clinical importance. For this reason, the Update includes four new chapters: single port surgery, convalescence, costs and training. The update process was started in March 2013. All the authors were requested to commence revision of their chapters between January 2009 and September 30th 2013. An Update Consensus Conference was held on October 23–26, 2013 in Windhoek/Namibia, following which, the first versions of the updates were presented to the delegates and extensively discussed. Based on these discussions the definite update was formulated and circulated for approval by all the involved experts. Chapter 1: Perioperative management: evidence for antibiotic and thromboembolic prophylaxis in endoscopic/laparoscopic inguinal hernia surgery? Search terms: “Antibiotic prophylaxis*” AND “laparoscopy” AND “inguinal hernia”; “Antibiotic prophylaxis*” AND “TEP”; “Antibiotic prophylaxis*” AND “TAPP”; “Antibiotic prophylaxis*” AND “randomized controlled trial” AND “inguinal hernia”; “Antibiotic prophylaxis*” AND “meta-analysis” AND “inguinal hernia”. “Thromboembolic prophylaxis*” AND “laparoscopy” AND “inguinal hernia; “Thromboembolic prophylaxis*” AND “TEP”; “Thromboembolic prophylaxis*” AND “TAPP”; “Thromboembolic prophylaxis*” AND “randomized controlled trial” AND “inguinal hernia”; “Thromboembolic prophylaxis*” AND “meta-analysis” AND “inguinal hernia”. PubMed and the Cochrane Colorectal Cancer Group specialized register and reference lists of the included studies were search for studies for potential inclusion. A total of 45 studies were identified as Level 1 or Level 2. No RCTs including TEP or TAPP with antibiotic or thromboembolic prophylaxis as primary outcome were identified. Three RCT studies on TEP or TAPP, having antibiotic treatment in the protocol and including more than 200 patients, were identified [1, 2, 3]. The first compared TEP to Lichtenstein  and the other two compared different mesh types in TAPP repair [2, 3]. Two reported on thromboembolic complications [2, 3]. Four meta-analyses on antibiotic prophylaxis for prevention of surgical site infections as a primary outcome were identified [4–7]. All included only open hernia repairs. No meta-analyses on thromboembolic complications were identified. No new statements or recommendations. The three other meta-analyses are all performed on mesh repairs and all except one study is included in the Cochrane report [5–7]. They all conclude that antibiotic prophylaxis is beneficial for protection of surgical site infections in open mesh repair. Search terms: “Inguinal hernia“, “TAPP repair“, “TAPP”, “TAPP technique”, “hernia repair”, “endoscopic repair”. Filters: Engl., Ger., Ital., French, Port., Span. RCT, Meta-analysis, multicenter study, systematic review, controlled trial. PubMed, Medline and reference lists of articles selected for inclusion. Of 1,684 papers involved with “endoscopic repair”, to “TAPP Hernia” with 355 and TAPP repair with 305. Of the 176 contributions to “TAPP technique” 37 were published in the last 3 years. (18 RCT’s, 3 meta-analysis and 16 reviews). Due to the present structure of the guidelines some of the fundamental technical key points of TAPP repair like the mesh choice, mesh size, slitting/non-slitting and fixation /non fixation are discussed in depth in other chapters. These key points do influence obviously the patient’s outcome and represent an important part of the TAPP’s best practice. In several instances Recommendation Grade D is mentioned. In general “Recommendation Grade D” is no recommendation at all, due to weak evidence. Nevertheless it is used in this text to demonstrate that some important data are still missing. Which is the safest and most effective method of establishing pneumoperitoneum and obtaining access to the abdominal cavity? New statements—identical to previous except statement below. In thin patients (BMI < 27), the direct trocar insertion is a safe alternative to the Veress needle technique (stronger evidence). New recommendations—identical to previous except recommendation below. The direct trocar insertion (DTI) can be used in order to establish pneumoperitoneum as a safe alternative to Veress needle, Hasson approach or optical trocar, if patient’s risk factors are considered and the surgeon is appropriately trained (new recommendation). What kind of trocars should be used? Is there any relation between the trocar type and risk of injury and/or trocar hernias? New statement—identical to previous except statement below. Use of 10-mm trocars or larger may predispose to hernias, especially in the umbilical region or in the oblique abdominal wall (Stronger evidence). New recommendation—identical to previous except recommendation below. Fascial defects of 10 mm or bigger should be closed (Stronger evidence). Is clinical examination efficient enough? What is the role of TAPP and other techniques in reliable assessment? New statements—identical to previous (but additional references, see comment). New recommendations—identical to previous except statement below. A thorough closure of peritoneal incision or bigger peritoneal tears should be achieved (Stronger evidence). After more than two decades of practicing TAPP repair, the technique per se is standardized to a great extent. Although only minimal changes in evidence levels and no completely new insights were to be expected in the time frame of the last 3 years, the content of the guidelines must be periodically scrutinized, re-examined and if necessary corrected. In order to reinforce the validity of existing recommendations and to improve the adoption of it by the world-wide surgical community it was sometimes necessary to interpret the evidence to make it fit better to everyday life. In paragraph “Which is the safest and most effective method of establishing pneumoperitoneum and obtaining access to the abdominal cavity?” there is a new input of stronger evidence (1B)  and 2B  concerning the direct trocar insertion. Nevertheless the authors defend their recommendation Grade A “When establishing pneumoperitoneum … extreme caution is required”. Because of the potential risk of a major injury the recommendation based on the statement “the direct trocar insertion is a safe alternative to the Veress needle technique” is intentionally downgraded to grade C: The direct trocar insertion (DTI) can be used in order to establish pneumoperitoneum as a safe alternative to Veress needle, open access or optical trocar, if patient’s risk factors are considered and the surgeon is appropriately trained. The paragraph “What kind of trocars should be used? Is there any relation between the trocar type and risk of injury and/or trocar hernias?” [5–8] reached stronger evidence for to refrain from the use of cutting trocars in order to diminish the local trauma and prevent the development of possible trocar hernias. The recommendation Grade C “Trocar sites with fascial defects of 10 mm or larger can be closed” was upgraded to Grade B “Fascial defects of 10 mm or bigger should be closed. The recommendations concerning clinical examination and anticipation of undiagnosed contralateral hernias gained additional support and insight from literature [9–11]. The previous recommendation on peritoneal closure already connoted verbally the importance of the task, although assigned to Grade C. To emphasize the fact the recommendation was upgraded to Grade B. Search terms: “inguinal hernia”; “femoral hernia”; “total extraperitoneal patch plasty”; “TEP”; “preperitoneal access”; “space creation”; “peritoneal tears”; “complications”. In PubMed, Medline, and the Cochran Library as well as in the reference lists of the included studies were searched for relevant studies. A total of 12 new studies were identified for inclusion. Nine level 1 studies deal with the local extraperitoneal pain treatment during TEP. Two level 3 and one level 4 studies are supplementing the knowledge about the technical key points of direct and indirect sac handling and drainage in TEP repair. How should a large direct sac be handled? Alternatively to fixation of the extended fascia transversalis to Copper’s ligament the direct inguinal hernia defect can be closed by a pre-tied suture loop (new statement). As alternative the primary closure of direct inguinal hernia defects with a pre-tied suture loop can be used (new recommendation). Each of the M2 or M3 direct defects, according to the European Hernia Society (EHS), were systematically closed prior to the introduction of the prosthetic mesh . Grasping and inversion of the attenuated transversalis fascia at its apex, using a laparoscopic forceps and plication of the transversalis fascia by placing a tight endoloop of polydioxanone (PDS) at its base. In total, endoloops of PDS were used to close the weakened transversalis fascia in 76 cases (30 M3, 44 M2 and two M1). Only one patient (1.3 %) complained of a residual seroma formation, which was still clinically present at 3 month post-operatively, but was not symptomatic. There were only two minor post-operative complications, which occurred in the same patient and were not related to the endoloop technique. Finally, no patient complained of chronic groin pain and there was no hernia recurrence after a median follow up of 18 months. How should a large indirect sac be handled? Transection of a large indirect sac does not lead to significant differences in postoperative pain, length of hospital stay and recurrence, but to a significant higher seroma rate (new statement). A large indirect sac may be ligated proximally and divided distally without the risk of a higher postoperative pain and recurrence rate, but with an increased postoperative seroma rate (new recommendation). 520 TEP repairs with indirect inguinal sac were performed in 498 patients. The patients were classified into two groups: the transected sac group with 269 patients (275 cases) and the completely reduced sac group with 230 patients (245 cases) . Statistical analysis between the two groups showed no significant differences in postoperative pain, length of hospital stay, and recurrence, except for postoperative seromas, which were more frequent in the transected sac group (24 of 275) than the completely reduced sac group (6 of 245; p = 0.002). Should a drain be used after a TEP repair? Should seromas be aspirated? Drain after TEP significantly reduces the incidence of seroma formation with increasing the risk of infection or recurrence (new statement). A closed-suction drain can be used to reduce the risk of seroma formation without increased risk of infection (new recommendation). In 929 patients (1,753 hernias), drain was put in 849 patients (1,607 hernias) and no drain was put in 80 patients (146 hernias) . Follow-up ranged from 9 to 45 months. Seroma formation was significantly lower in the drain group (12/1,607; 0.75 %) compared with the non-drain group (22/146; 15.1 %) (p < 0.001). Both the groups were comparable in pain scores, conversion to open, hospital stay, and days taken to return to normal activity and recurrence rates. There was no infection in either group. Extraperitoneal bupivancaine treatment during endoscopic TEP inguinal hernioplasty is not more efficacious for the reduction of pain than placebo. Extraperitoneal bupivacaine treatment during endoscopic TEP inguinal hernia repair for the reduction of postoperative pain should not be performed. Tong et al. (2013)  reviewed eight trials that included a total of 373 patients (5–12). They found no difference between the groups in postoperative pain reduction following endoscopic TEP inguinal hernia repair. The intensity of pain was not significantly different between the bupivacaine treatment group and the control group. No bupivacaine-related complications were reported. They concluded, that extraperitoneal bupivaciane treatment during endoscopic TEP inguinal hernioplasty is not more efficacious for the reduction of postoperative pain than placebo. Chapter 4: TEP versus TAPP: which is better? A total of 200 publications were identified and 11 were used. TAPP has a longer hospital stay compared to TEP (new). Potentially serious adverse events are rare after both TAPP and TEP (stronger evidence). TAPP has a longer operation time compared to TEP (new). TEP has more intra-operative and postoperative surgical complication rate compared to TAPP (new). New recommendations—identical with previous except recommendations below. Both techniques are acceptable treatment options for inguinal hernia repair and there is sufficient data to conclude that both TAPP and TEP are effective methods of laparoscopic inguinal hernia repair (stronger evidence). Bansal et al. randomized 314 patients into two groups (TEP, TAPP) and recorded the postoperative pain score at 6 h, 24 h, 1 week and 6 weeks as well as parenteral analgesic requirement. TAPP group was associated with a significantly higher pain score at 6 h, 24 h, 1 week and 6 weeks. Parenteral analgesic requirement was also found to be significantly higher in the TAPP group. Zanghi et al. prospectively studied 439 patients undergoing TEP or TAPP repair. Postoperative pain score was higher in the TAPP group on 1, 7, 30 and 90 days postoperatively. In the RCT done by Bansal et al. , no major intraoperative complications with no hollow viscus, bladder injury, or major vascular injury were seen. None of the patients in either group had any life-threatening complications during the postoperative period in form of deep vein thrombosis (DVT) and pulmonary embolism (PE) or myocardial infarction (MI). No incidence of deep infection were seen postoperatively in level 1 and 2 studies [1–11]. No incidence of port site hernia were seen postoperatively in level 1 and 2 studies [1–11]. Bansal et al. found a significantly higher incidence of postoperative seroma in the TEP repair group. Postoperative seroma were managed by observation only. Bansal et al. found a significantly higher incidence of postoperative scrotal edema in the TAPP repair group. TAPP repair group was associated with a significantly longer operative time compared to the TEP group . In the population based study by Gass et al. , TEP repair was associated with a significantly longer operating time compared to TAPP group. In the meta analysis by Bracale et al. , there was a significantly longer postoperative hospital stay in the TAPP group. Bansal et al. did not find any significant difference in the postoperative hospital stay between TAPP and TEP repair. Gass et al. also found a significantly longer hospital stay in the TAPP group. Bansal et al. had a single conversion in the TEP group, because the anatomy could not be defined due to adhesions between peritoneum, posterior rectus sheath, and abdominal wall fascia, which lead to peritoneal laceration leading to conversion. However, the repair could be accomplished after conversion to TAPP. Gass et al. found that unadjusted and risk-adjusted analyses of conversion rates revealed significantly higher rates for the TEP group, as is reflected by a high odds ratio. Gass et al. found that patients undergoing TEP had a statistically significant increased rate of intraoperative complications and postoperative surgical complications. General postoperative complications were not statistically different between the two methods. Bansal et al. had one recurrence in TAPP group (0.3 %), where mesh was found to have migrated into the dilated internal inguinal ring at reoperation and forming part of the sac. No recurrences were seen in the TEP repair group. No difference in the overall satisfaction was found between TEP and TAPP in level 1 and 2 studies [1–11]. In the study by Bansal et al. , both the TEP and TAPP groups showed significant improvement in quality of life from the preoperative period to 3 months postoperatively. The TEP group showed significant improvement in all domains, whereas the TAPP group showed significant improvement in all domains except those of vitality and social functions. However, both groups were comparable postoperatively in terms of quality of life. No previous studies have compared quality of life after TEP versus TAPP repair. TEP inguinal-scrotal hernia repair remains an advantageous approach during the difficult scrotal hernia that requires “conversion” to an open repair, because the pre-peritoneal dissection performed laparoscopically allows for reduction of the hernia and optimal mesh placement once the hernia repair has been converted and is performed from the anterior approach (new). TEP approach for the large, difficult scrotal hernia may serve as an adjunct to dissection and definition of the pre-peritoneal space allowing for easier hernia and mesh placement once the case is “converted” to open repair (new). Ferzli et al. reviewed their experience with 1,890 TEP hernia repairs. Ninety-four large scrotal hernias were identified of which, nine cases (9.5 %) required conversion to an open procedure due to an incarcerated and indurated omentum. Six of these (6.4 %) underwent a combined laparoscopic and open repair with good results and no recurrence at 6 months. They conclude that a combined laparoscopic and open approach can greatly assist in the visualization and dissection of the preperitoneal space, thereby facilitating reduction of the hernia and placement of the mesh. Siow et al. retrospectively reviewed their experience with TAPP in the treatment of incarcerated scrotal hernias. They were able to successfully treat 20 patients using either a pure TAPP technique or TAPP combined with a limited open technique. Laparoscopic hernia repair for incarcerated inguinal hernia has been successfully and safely performed in the pediatric population (new). New recommendations—identical to previous except recommendations below. Laparoscopic hernia repair for incarcerated inguinal hernia may be successfully and safely performed in the pediatric population by surgeons with laparoscopic expertise (new). Nah et al. performed a retrospective study of pediatric patients with incarcerated inguinal hernias and found a trend toward fewer complications in the group whose repair was performed laparoscopically rather than open, although this was not statistically significant. They also found a higher statistically significant incidence of contralateral hernias that were repaired at the time of repair of the incarcerated hernia. Esposito et al. reviewed their experience with 601 children who underwent laparoscopic inguinal hernia repair 46 (7.6 %) of whom presented with incarceration. The authors were able to successfully treat these patients with laparoscopic repair with a recurrence rate of 4.3 %. Chan et al. reviewed their experience with laparoscopic approach to the incarcerated pediatric inguinal hernia repair. They were able to safely and successfully treat 16 patients with incarcerated hernias using laparoscopy. Choi et al. conducted a retrospective analysis of 945 patients who underwent TEP repair of their inguinal hernia and 66 had an incarcerated hernia. There was no difference in outcome between the incarcerated and reducible groups but operative times were longer and seroma formation was greater in the incarcerated group. Yang et al. retrospectively reviewed 188 patients who underwent emergency surgical repair of strangulated groin hernias; 57 received laparoscopic and 131 received open repairs. They found that more laparotomies were performed in the open group (19 vs. 0), the wound infection rate was significantly higher in the open group (12 vs. 0), and the mean hospital stay was shorter in the laparoscopic group (4.39 vs. 7.34 days). Ginesta et al. published a case report of successful TEP hernioplasty combined with laparoscopic assisted intestinal resection for a strangulated Richter femoral hernia. Demetrashvili et al. performed a randomized prospective study comparing open versus TAPP repair for recurrent inguinal hernia. Twenty eight patients were assigned to the Lichtenstein repair technique and 24 to TAPP repair. Results were equivalent in terms of operative time, recurrence and chronic pain. The TAPP patients had significantly less pain in the postoperative period and, faster recovery. Shah et al. found no difference in complication rate in their retrospective review of 172 patients who underwent either open versus laparoscopic inguinal hernia repair for recurrent inguinal hernia. They did find a significantly lower incidence of re-recurrence in the laparoscopic group. Sevonius et al. reviewed the Swedish hernia registry and found that the risk of reoperation for re-recurrence in 19,582 hernia repairs for recurrent hernia is significantly reduced if the laparoscopic or open pre-peritoneal repair were used for the repair of the recurrence (p < 0.001). Bignell et al. prospectively studied 120 patients who underwent TAPP inguinal hernia repair versus open hernia repair. They demonstrated a slightly lower severity of chronic groin pain after laparoscopic inguinal hernia repair for bilateral and recurrent inguinal hernias versus open repair but with no significant improvement in quality of life. Yildiz et al. reviewed 26 male pediatric patients who underwent laparoscopic repair of recurrent hernia. Thirteen were treated with laparoscopic surgery (with Schier’s intracorporeal “N” suture closure) and 13 with open surgery (with high ligation technique). They found a statistically shorter length of the operation time in laparoscopic repair group. van den Heuvel and Dwars  reviewed 2,594 TAPP inguinal hernia repairs (TAPP). Of these, 53 repairs were attempted for recurrent hernias after a previous posterior repair in 51 patients. Two repairs had to be converted to an open technique. One case resulted in ligation of the vas deferens. Four patients developed port site hernias. There were no serious postoperative events. At follow-up (mean of 70 months) no recurrences were found. Uchida et al. retrospectively reviewed 28 patients who underwent TEP repair of a contralateral inguinal hernia out of 215 who had undergone previous TEP inguinal hernia repair. Complications in this group were few. Three patients required conversion to an anterior approach and, in four, the inferior epigastric artery and vein were divided. Women are at increased risk of having an occult synchronous femoral hernia (New). When performing inguinal hernia repair in women, extra effort should be undertaken to reveal and treat occult synchronous femoral hernia (New). Putnis et al. performed a retrospective review of 362 patients who underwent 484 TEP inguinal hernia repairs. They found a total of 18 cases of synchronous femoral hernias with a statistically higher incidence of femoral hernia in females (37 %) compared to males (3 %) (p < 0.001). They suggest that all women presenting with an inguinal hernia also have a formal assessment of the femoral canal. Henrikson et al. looked at 461 patients undergoing laparoscopic hernia repair for the incidence of occult synchronous femoral hernia. They found a significantly higher incidence of unsuspected femoral hernia in patients undergoing repair for recurrence [23/250, 9.2 %) compared to the group undergoing primary repair (8/211, 3.8 %), p = 0.02. Furthermore, 38.1 % of women operated on for a recurrent inguinal hernia, presented with an unsuspected femoral hernia at surgery as opposed to 6.6 % of the men, p = 0.003. Dulucq et al. prospectively performed 337 laparoscopic inguinal hernia repairs in 263 patients. These patients were all assessed for occult concomitant hernia. 44 unexpected hernias were encountered and repaired with minimal complication: 6 Spiegelian hernias, 19 obturator hernias and 19 femoral hernias. Nah et al. performed a retrospective study of pediatric patients with incarcerated inguinal hernias and found a trend toward fewer complication in the group whose repair was performed laparoscopically rather than open, although this was not statistically significant. They also found a higher statistically incidence of contralateral hernias which were repaired at the time of repair of the incarcerated hernia. Search terms: “Hernia, Inguinal [MESH] (“size” or “recurrence”), “clinical trial”, randomized controlled—“meta-analysis”. PubMed and the Cochrane Database of Systematic Reviews specialized register and reference lists of the included studies were searched for studies for potential inclusion. A total of 81 new studies were identified (compared with former literature search covering 1966 to January 2009) and none of them were relevant. Pubmed, Medline, and Cochrane Library. TAPP In total, n = 26 hits were found from February 2009–October 2013. Excluding n = 2 (review a.o. ), n = 23 publications were classified according to the evidence criteria. The result was n = 3/23 articles fulfilled the criteria of Level IB (13 %) based on Oxford hierarchy of evidence [1–3]. However, these papers are disregarded by reason that they are not comparing mesh types in TAPP. TEP The TEP search resulted in n = 34 hits. Excluding n = 3 articles (listed in TAPP search), n = 1 (3 %) article correlate to level 1B . In a one-year follow up midterm results are described in this RCT. Overall n = 3 meta-analysis are available [5–7]. Since the publication of the IEHS Guidelines in 2011, n = 3 prospectively randomized trials and n = 1 registry study have been published concerning azoospermia [8–11]. The statistical significance that lighter meshes with larger pores results in improvement of quality of life is not consistent in recently published meta-analyses. Subset analysis revealed no higher risk of recurrence after using lightweight meshes in laparoscopic inguinal hernia repair (New). The middle- and long-term results of prospective studies in men do not support the hypothesis that bilateral inguinal hernia repair with alloplastic mesh prosthesis causes male infertility or decreasing the sperm motility (New). A monofilament implant with a pore size of at least 1.0–1.5 mm (usually meaning low-weight) consisting of a minimum tensile strength in all directions (including subsequent tearing force) of 16 N/cm appeared to be most advantageous; however, this assumption mainly summarizes personal and published clinical and experimental experiences (stronger evidence). The application of large pore polypropylene meshes in endoscopic hernia repair is harmless concerning azoospermia and should therefore further used (New). A clear recommendation cannot be made based on currently published RCT’s even if level 1A evidence is available. Two of three meta-analyses found no significant differences in terms of early postoperative pain, recurrence rate or return to work [5, 7]. The reduced incidence of chronic groin pain is only in one meta-analysis  significantly lower after LM implantation. Li et al. evaluated a publication bias by using Egger’s test but mixed different techniques in hernia repair. Regardless of the addition of non-randomized but controlled trails, there is no difference in the development of chronic groin pain within 6 months between both mesh types. Interestingly, out of a total of 16 RCT’s which are used for the structured review by Currie et al. , Li et al. and Sajid et al. , only n = 6 were cited in the three published meta-analysis (Fig. 1). In addition only Sajid  includes data from Champault  and independently from the discussion if Champault study is prospective randomized or not, it influenced substantial this meta-analysis. Therefore the value is arguable. However, based on a slight trend to improved quality of life after using large pore and so called lightweight meshes, the authors upgrades the existing recommendation from Grade D to Grade B even if the present meta-analysis are not statistical consistent. The lack of consistency of the results of published RCT”s suggests that, on one hand, the mesh-choice only slightly influence the clinical outcome and, on the other hand, the classification in heavy and light meshes does not allow sufficient differentiation. On this account, a modified implant classification with primary regard to the local scarring formation than the implants weight should be done in future to allow better comparability of RCT’s . Concerning azoospermia as an important parameter regarding quality of life, a Belgian prospective study showed significant early postoperative sperm-motility disorders in the light-mesh group and could not be noticed in long-term examinations [9, 10]. A Swedish registry study compared patients receiving meshes with such without mesh implantation . This study could exclude, independently of the mesh type, a higher risk of infertility. Chapter 8: Slitting or not slitting of mesh—does it influence outcome? Search terms: Hernia, Inguinal [MESH] (“cutting” or “slit”), “clinical trial”, “randomized controlled”—“meta-analysis”. A total of 176 new studies were identified (compared with former literature search covering 1966 to January 2009) and two of them were relevant. Cutting a slit in the mesh to allow the structures of the funicel to pass does not compromise testicular perfusion and testicular volume (New). Based on available evidence we recommend not to cut a slit in the mesh although cutting does not compromise testis perfusion (New). We identified one new randomized trial . In this trial  40 patients undergoing TEP were randomized to a slit or no slit. Doppler ultrasound was performed preoperatively, day 5 and after 6 months. There were no significant differences in testicular perfusion and volume. Finally, one case–control study  with a retrospective design compared 78 patients undergoing TEP with a slit mesh with 300 patients undergoing TEP with a no-slit mesh. Number of patients included was not based on a power analysis. Patients had a 12 × 15 cm polypropylene mesh. Clinical recurrences were seen in 0.6 % in the slit group and in 6 % in the no-slit group (p < 0.01). Follow-up after 3 years was either with telephone interview or clinical examination and the study quality was questionable since significant bias may have been involved in patient selection for slit versus no-slit. There is no convincing evidence to support use of a slit or to use no-slit in the mesh for laparoscopic inguinal hernia repair. One study found some of the recurrences to be associated with insufficient closure of the mesh slit. This could argue against slitting the mesh. We routinely do not cut a slit in the mesh as it does not bring any technical advantage for the surgeon or better clinical results for the patient. Chapter 9: Mesh fixation modalities: is there an association with acute or chronic pain? Search terms: ‘‘Surgical Mesh (MeSH)’’ AND ‘‘Surgical fixation device’’ (MeSH) AND ‘‘Inguinal Hernia’’ (MeSH); ‘‘fixation AND mesh AND TEP’’; ‘‘fixation AND mesh AND TAPP’’; ‘‘TAPP AND pain’’; ‘‘TEP AND pain’’; ‘‘groin hernia AND pain’’; ‘‘inguinal hernia AND pain’’; “Randomized control trial” AND “fixation AND hernia”. PubMed and the Cochrane Database of Systematic Reviews specialized register and reference lists of the included studies were search for studies for potential inclusion. A total of 10 new studies were identified as Level 1. Four studies on non-fixation versus mechanical fixation were identified. Three were meta-analysis [1–3] and the last one by Sajid et al. reported on eight RCTs that was used for the analyses. One RCT was published after this meta-analysis and was included in this analysis . Five studies on glue fixation versus mechanical fixation were identified. Two were meta-analysis [5, 6] and the last one by Sajid  et al. reported on 5 RCTs and were used in this analyses. Another five new RCTs [8–11] have been published since and have been included in this analysis. New statements—identical to previous except recommendations below. Fixation and non-fixation of the mesh in TEP are associated with equally risk of postoperative pain or recurrence (New). Fibrin glue fixation is associated with less chronic pain than stapling. If TEP technique is used, non-fixation has to be considered in all types of inguinal hernias except large direct defects (MIII, EHS classification) (stronger recommendation). In case of TAPP repair non-fixation should be considered in types LI, II, and MI, II hernias (EHS classification). For fixation, fibrin glue should be considered to minimize the risk of acute postoperative pain (modified recommendations). Sajid et al. reported in the meta-analysis on no difference between non-fixation versus mechanical fixation for both early (overall effect Z = 0.75 p = 0.45) and chronic pain (Z = 0.43 p = 0.67) . The RCT of Garg et al. , published after this meta-analysis, confirmed the same results. This evidence is the background for the new statement Level 1A. Sajid et al. reported in their second meta-analysis no difference between glue fixation and mechanical fixation for early pain (Z = 1.27, p = 0.20). There was a significant difference for chronic pain (Z = 3.27, p = 0.001) . Three studies reported on early pain after the meta-analysis [8–10]. They all concluded that early pain was significantly less in the glue group. Four studies reported on chronic pain after the meta-analysis demonstrating no difference between glue and mechanical fixation [8–10]. This led to the decision to exclude the former recommendation to consider fibrin glue to minimize the risk of chronic pain. Concerning the use of self-fixating meshes up to now only one randomized controlled trial comparing fixation by fibrin glue versus micro-hooks is published 2012 without any significant difference concerning postoperative pain in a follow up of 3 months . 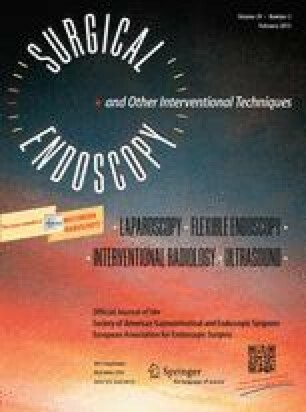 For information Cochrane Colorectal Cancer Group specialized register reported an on-going meta-analysis of mesh fixation techniques for laparoscopic inguinal hernia repair . Search terms: “TEP” and “pain”; “TAPP” and “pain”; “groin hernia” and “pain”; “inguinal hernia” and “pain”; “randomized controlled trial” and “pain” and “hernia”. Pubmed, Medline, Embase, British Journal of Surgery database, Science Citation Index, and the Cochrane database. A total of 13 new studies were identified as Level 1. There is one new systematic review comparing open versus TEP and TAPP for acute and chronic pain  and one systematic review comparing TEP and TAPP for acute pain . New statements—identical to previous except statements below. There is no difference of chronic pain after TEP and TAPP (stronger evidence). Fixation and non fixation of the mesh in TEP are associated with equally risk of postoperative pain (see chapter “Fixation”) (new). Fibrin glue fixation is associated with less chronic pain than stapling (see chapter “Fixation”) (new). Age below median (40–50 years) is a risk factor for acute pain (stronger evidence). Age below median (40–50 years) is a risk factor for chronic pain (stronger evidence). Severe acute postoperative pain is a risk factor for chronic pain (stronger evidence). If TEP technique is used non fixation has to be considered in all types of inguinal hernias except large defects (L III, MIII; EHS classification; see chapter “Fixation”) (new). In case of TAPP repair non fixation should be considered in types LI, LII, MI, MII hernias (EHS classification, see Chapter “Fixation”) (new). Four new RCT compared TEP and TAPP for pain [3–6] of which three analyzed only chronic pain [3, 5, 6]. While there was no difference for chronic pain, two RCT [3, 6] reported less acute pain after TEP. There were identified 9 new RCT [4, 5, 7–13] including 3,780 patients comparing open repair with TEP/TAPP repair. Two of these trials analyzed only chronic pain. All seven studies reported less acute pain after TAPP/TEP. Eight trials found significant less chronic pain after TAPP/TEP. One systematic review  identified young age as risk factor for acute pain and one RCT reported more chronic pain in younger patients. One systematic review  and one RCT  identified severe acute postoperative pain as risk factor for chronic pain. Search terms: Laparoscopic inguinal herniorrhaphy, urinary complications, testicular complications, spermatic cord complications, infertility, sexual dysfunction. Mesh erosion into the bladder after LIH is rare, probably occurring in well less than 1 % of cases. The literature dealing with this complication is made up almost exclusively of case reports and therefore the complication is under reported so that the exact incidence is not known . One reference is confirming previous statement . Inguinal hernia repair with mesh is not associated with an increased risk of, or clinically important risk for, male infertility. (new). Groin hernia repair using mesh techniques may continue to be performed without major concern about the risk for male infertility. (new). Although animal studies have suggested a strong correlation between mesh inguinal hernia repairs and structural damage to elements of the spermatic cord and testicle , this has not translated into a clinically significant infertility rate after open or laparoscopic inguinal hernia repair [4–6]. A concern that the light weight meshes might have a greater adverse effect on sperm motility, seen 1 year after total extraperitoneal inguinal hernia repair (TEP) in one study , could not be confirmed at 3 years follow up . Chapter 12: Intraperitoneal onlay mesh (IPOM) for inguinal hernia repair—still a therapeutic option? Search terms: “IPOM”; “intraperitoneal onlay mesh”; “inguinal hernia” AND “intraperitoneal” AND “onlay” AND “mesh”. PubMed search yielded 61 and Medline search yielded 43 publications, which were screened for relevance. There was no level 1 or level 2 publications during the search period. Search terms: “open preperitoneal hernia repair”; “laparoscopic inguinal hernia repair”; “TAPP” AND “preperitoneal” AND “hernia repair”; “TEP” AND “preperitoneal” AND “hernia repair”; “preperitoneal” AND “hernia” AND “repair”. Pubmed search yielded 117 and Medline search yielded 145 publications, which were screened for relevance. Three studies during the search period were Level 1 or 2. Minimally invasive open approaches (i.e., Kugel) may offer a cost advantage over laparoscopic approaches. (new). Recent literature does not support a change to previous recommendations. Bender, et al. randomized 40 patients to either Kugel or TEP repair of unilateral hernias. There were no significant differences in operative time, length of stay, return to activity, or serum inflammatory markers. Cost was US$546 lower with Kugel. Hamza, et al. randomized 100 patients to open pre-peritoneal, Lichtenstein, TAPP, or TEP. Laparoscopic approaches were associated with less pain and faster return to activity. Ozmen et al. compared flow dynamics and cross-sectional area of femoral vessels following either TEP or Stoppa procedures. There was no evidence of DVT or significant changes in flow characteristics as a result of mesh placement in either technique. Search terms: Inguinal Hernia, Laparoscopy/methods, Surgical instruments, Single port, Single port access, Reduced port surgery, Surgical technique, Laparoscopic surgery, Minimally invasive surgery. 24 Papers are relevant: 5 level 2B; 19 level 4. Single port laparoscopic hernia repair is a safe and feasible alternative to traditional multiport technique although has not been showed to be superior or more effective. Single port laparoscopic hernia repair may offer a better cosmetic outcome and patient’s satisfaction. Single port laparoscopic hernia repair has no increased risk compared with standard multiport technique. Single port laparoscopic inguinal hernia repair is safe and feasible alternative options to conventional laparoscopy in selected cases but further RCTs are needed. Both TAPP and TEP can be performed with equal results in selected cases. In the last few years, minimally invasive surgery has continued to develop by further reducing surgical aggression and scars hence Natural Orifice Transluminal Endoscopic Surgery (NOTES) came into light. This new approach created a lot of enthusiasm but still several issues and challenges have arisen and need to be resolved before a full clinical acceptance [1–3]. While improving on these procedures, the idea of reducing the number and size of ports, so-called single incision access surgery came into limelight. In the beginning by using multiple fascial punctures and later using dedicated devices that were ad hoc developed and marketed. Through a small wound incision between 1.5 and 2.5 cm, the single port device can be inserted and allow multiple access for telescope and instrumentations to carried out the surgery. Early reports of different procedures have been published and the cosmetic advantage offered by the single port endo-laparoscopic surgery (SPES) make this approach attractive option for patients who require additional benefit of cosmesis. Further clinical studies involving large series of patients, are needed to confirm the benefits and advantages of SPES over standard procedure. Some case reports and cohort studies have been published on single port inguinal hernia repair [4–30]. Two RCT Trials has been published recently from high volume centers in which safety, efficacy and improved cosmesis was confirmed with an overall outcome similar to standard technique [31–32]. Search terms: Hernia, inguinal/SU, treatment outcome, recurrence, convalescence, activities of daily living, work, exercise, weight, heavy, lifting, strain. End of search period Dec 31st, 2013; no restriction with regard to the begin of the search period due to the overall very limited amount of high-level evidence. Since intra-abdominal pressure plays a triggering—albeit not causative—role in inguinal hernia development, the avoidance of physical strain has been traditionally recommended after surgical repair. However, intra-abdominal pressure—the putative link between physical strain and recurrence—has not been objectively established as a risk factor for recurrence yet . Recommendations for periods of physical inactivity after groin hernia repair are very variable and typically rather long (4–6 weeks) [2, 3], and mostly just expert opinions rather than the result of systematic research . Presently available guidelines are based on cohort or case–control studies of low evidence . There are a precious few reports of clinical trials on this issue , and reliable, evidence-based recommendations for a requirement of physical inactivity after hernia repair are notably absent [7, 8]. Since the most current guideline  recommends some caution in patients doing heavy lifting (“Probably a limitation on heavy weight lifting for 2–3 weeks is enough”) without specifying either the probability or the threshold of “heavy”, physicians may decide to err on the side of caution rather than recommend a too-early return to work. Therefore, one of the key outcome parameters of hernia surgery is based on arbitrary decisions rather than representing an objective feature of procedural quality, diminishing the informative value of the published results. Moreover, there is insufficient evidence to support the surgeon while making a decision of quite substantial impact: False recommendations may lead to unnecessary recurrences with potentially hazardous consequences for the patient [9, 10] on the one or economic penalties for patient and/or society due to unnecessary vocational downtime on the other hand. The issue of convalescence is of particular importance in the context of endoscopic hernia repair since reduced postoperative pain and shorter periods of recovery are some of the key advantages of this approach. Due to the relative paucity of pertinent published evidence, the literature search for the issue of convalescence was not limited in terms of publication dates and evidence levels. A meticulous analysis of all published evidence yielded no indication for a relationship between postoperative physical strain and risk of hernia recurrence. The only randomized controlled trials (RCTs) on the issue were performed in the same hospital in Nottingham and published about 30 years ago [11–13]. After an initial 3-week period of physical inactivity, patients received different recommendations for the ensuing time (immediate full occupational and recreational activity vs. activity according to the GP’s recommendation [11, 12] or reduced strain for an additional 3 months , respectively). GPs recommended extended periods of restrained activity, and immediate full workload had no adverse effects. On the contrary, the only recurrences observed by Taylor et al. occurred after the extended reduced activity. immediate full activity without strain limits (n = 1,069). no specific recommendations (8,297 reference patients from the Danish Hernia Database). There were no significant differences between groups in terms of hernia recurrence, but alas, the recurrence rate in the first group was only half as high (0.7 %) as in the others (1.6 and 1.4 %, respectively). This difference is hardly attributable to the early resumption of activity but probably reflects a better standard of care in the study center; however, it underlines the absence of an increased recurrence risk due to early rehabilitation when the surgical procedure was faultless. The importance of the latter point is emphasized by a relatively broad spread of recurrence incidence between centers that suggests procedure-related prognostic factors; for instance, the German Quality Assurance Office  and the European Hernia Society  reported recurrence rates of as low as 0 % and as high as 19 % in contemporary series surveys. In conclusion, groin hernia recurrence is obviously surgeon- and not burden-related. Obviously, the following recommendations only address the issues that are specific for groin hernia repair; general rules and precautions of convalescence after ambulatory or day-case surgery certainly apply to those patients as well. Is post-surgery physical strain related to groin hernia recurrence? There is no evidence for an increase in recurrence risk due to physical strain (including heavy lifting) after groin hernia surgery irrespective of the method of surgery. Immediate return to work (within 1–3 days) is not associated with hernia recurrence. Immediate resumption of activity of daily living (ADL) (within 1–3 days) is not associated with hernia recurrence. Patients should be actively assured that physical activity of any kind does not jeopardize the stability of groin hernia repair. Patients should be encouraged to resume work and ADL after 1 day. What are the limiting factors for the resumption of work and physical activities after groin hernia repair? Pain is an important limiting factor for the resumption of work and physical activities after groin hernia repair. Patients’ attitude toward convalescence is heavily influenced by their surgeons’ recommendation. Return to work is heavily influenced by the type of sick-leave compensation. Effective pain control is a prerequisite of early return to work and ADL. Patients should be counseled with regard to availability and side effects of analgesics. The published literature shows a wide variety of periods of sick-leave and return to ADL; the difference between the lowest and highest published figures amounts approximately to a factor of 10 (return to work 5–50 days, resumption of ADL 3–30 days) . This clearly demonstrates the absence of objective criteria for recommendation, and a broad spread like that can hardly reflect the consideration of recurrence risk alone. Within series of patients with identical recommendations by the surgeon, pain is the single most important reason stated for extended periods of inactivity [16, 18–20]. recommendation given by the surgeon (and the resulting expectation of the patient) [19, 21–23]. type and generosity of sick-leave compensation [10, 24, 25]. An American case–control comparison between patients covered by “worker’s compensation” or private health insurance, respectively , graphically corroborates the importance of socio-economic circumstances: not only did the former group return much later to work (33.5 ± 4.6 vs. 12.6 ± 2.3 days), but it also reported persistent pain for a sixfold period (111.0 ± 42.2 vs. 17.8 ± 7.9 days). Whereas the latter point cannot be easily influenced by the surgeon, the two former points show clear and broad avenues to shorter periods of convalescence: Clear recommendation of very short periods (1–3 days) of physical inactivity and generous analgesics prescription, obviously under consideration of patient- and work-specific side effects and risks. The importance of the patient’s expectation—that is easily influenced by the surgeon—is confirmed by the observation that dispositional pessimism as a personality trait significantly delays return to work after hernia repair . The fact that early postoperative pain is an important precursor of chronic pain after hernia repair  corroborates the recommendation of a generous analgesics prescription regimen. This issue is of particular relevance since there are clues that chronic pain after hernia repair—a relatively frequent residuum —is promoted by early resumption of physical activities in patients who experience early postoperative pain . What period of physical inactivity, if any, is recommended after groin hernia repair? No specific period of inactivity needs to be recommended. The typical stability of mesh reconstructions of 50–150 N [30, 31] would allow a reconstruction size of 35–100 cm2 under consideration of the maximal physiologic intra-abdominal pressure of 14,000 N/m2; therefore, even without the stabilizing effect of peri-reconstructional soft tissue a properly executed mesh reconstruction is immediately stable and withstands pressure peaks due to coughing, pressing or heavy lifting. Tolver et al. counseled patients about a 1-day expected convalescence, leading to a resumption of work and ADL after 3–5 days without any negative consequences. Even this recommendation is, strictly speaking, debatable, but its consequent application would lead to an enormous reduction of socio-economic consequences of groin hernia. No specific period of physical inactivity is required after groin hernia repair. In which way, if any, does convalescence pertain to the choice of surgical procedure? It is widely accepted and has been shown in numerous original articles and reviews that endoscopic hernia repair is associated with less postoperative pain and a reduced period of vocational and recreational downtime [18, 20, 32–49]. Due to the aforementioned substantial variation of actual periods of return to work and ADL, the benefit cannot be determined exactly; however, the differences are sufficiently pronounced and homogenous to warrant the recommendation of endoscopic techniques with regard to convalescence. Postoperative pain is less pronounced after endoscopic as compared to open hernia repair. Endoscopy hernia surgery is associated with shorter vocational downtime and earlier resumption of ADL as compared to open hernia repair. With respect to convalescence, endoscopic hernia repair is preferable over open techniques. All recommendations given in this chapter only apply to the conventional “heavy” (or small pore) mesh techniques since convalescence data for lightweight (or large-pore) mesh are not yet available. However, since there appear to be no differences in recurrence risk depending on mesh pore size  we provisionally assume that the recommendations are also applicable to large pore mesh techniques. Three new papers level 1 and 2 were identified. Surgery (endoscopic placement of retropubic mesh) is more efficient than conservative therapy for the treatment of sportsman’s hernia. (stronger evidence). In Sportsman’s hernia the results of surgical repair to the posterior inguinal wall are excellent. (stronger evidence). For conservative treatment the use of radiofrequency denervation of both ilio-inguinal nerve and inguinal ligament in the treatment of refractory Sportsman’s Hernia is safe and efficacious at least in the short term, and is superior to anesthetic/steroid injection. (new). Endoscopic placement of retropubic mesh must be considered a serious option for Sportsman hernia. (stronger evidence). For conservative treatment of refractory Sportsman’s hernia, radiofrequency denervation of both ilio-inguinal nerve and inguinal ligament must be considered, in the short term, an alternative to anesthetic/steroid injection. (new). One paper with level of evidence 2 has been published since 2009 based on the diagnostic procedures of sportsmen hernias . Regarding treatment two level 1 studies are available: Comin  has published a study comparing radiofrequency denervation of both the ilio-inguinal nerve and inguinal ligament to desensitize the groin region and enable the athlete to become pain-free. This therapy was compared with local anesthetics (Bupivacaine) and steroid (Trimacinolone) injection, showing that the use of radiofrequency denervation is safe and efficacious at least in the short term, being superior to unaesthetic/steroid injection. Regarding surgery, Paajanen et al. compared conservative treatment to endoscopic mesh repair on 60 patients with a diagnosis of chronic groin pain and suspected sportsman’s hernia. Operative repair was more effective than non-operative treatment to decrease chronic groin pain after 1 month and up to 12 months of follow-up. Of the 30 athletes who underwent operation, 90 % returned to sports activities after 3 months of convalescence compared to 27 % of the 30 athletes in the non-operative group. Search terms: Academic Medical Centers. *Clinical Competence. *Computer Simulation. *Computer-Assisted Instruction. *Curriculum. Education, Medical, Graduate/mt [Methods]. Education, Medical, Undergraduate/mt [Methods]. Female. Hernia, Inguinal/su [Surgery]. *Herniorrhaphy/ed [Education]. Herniorrhaphy/mt [Methods]. Humans. *Laparoscopy/ed [Education]. *Learning. Male. Medical Staff, Hospital/ed [Education]. Program Evaluation. Retroperitoneal Space/su [Surgery]. Time Factors. United States. Adult. Aged. Analysis of Variance. *Computer Simulation. *Computer-Assisted Instruction. Female. General Surgery. *Hernia, Inguinal/su [Surgery]. Hospitals, University. Humans. *Internship and Residency. *Laparoscopy. Length of Stay. Linear Models. Male. Middle Aged. Patient Satisfaction. Single-Blind Method. Time Factors. Treatment Outcome. User-Computer Interface. PubMed/Ovid MEDLINE/Ovid EMBASE/Web of Science/Scopus. Following the above MESH terms, 46 abstracts resulted from the search and were reviewed. Of those, 24 full papers were reviewed. Seven papers were excluded as they only described mathematical models underlying virtual reality (VR) simulation for hernia repair. Five meta-analysis and systematic reviews, two randomized controlled trials,  prospective cohort studies were included. Laparoscopic inguinal hernia repair (LIHR) is an advanced laparoscopic procedure with a long learning curve, up to 250 procedures to proficiency [1, 2]. Zendejas et al. showed that simulation training leads to improved outcomes for patients undergoing laparoscopic inguinal hernia repair . Simulation training tools and programs exist for both general laparoscopic task training and for procedure specific training. In the United States, surgeons now have to obtain a cognitive and general technical skills certification, the fundamentals of laparoscopic surgery (FLS), to be eligible for certification by the American Board of Surgery. Beyond general task training, laparoscopic inguinal hernia specific trainers have been developed. Concepts exist on the low-tech box trainer platform, cadaveric tissue or the high tech virtual reality platform [4–7]. Low cost trainer boxes for laparoscopic inguinal hernia repair have been developed [4, 5]. They have face validity  and improve skills . On review of the literature to date, no studies were encountered using computer simulated inguinal hernia repair for training. Along with the technical skills trainers, surgical educators have been interested in developing training curricula and assessment tools specific to inguinal hernia repair [8–10]. In addition, pathways to teach cognitive components and surgical decision making have been evaluated [11, 12]. After review of the above studies, we can make the following statements regarding levels of evidence and recommendations. Simulation training improves trainee satisfaction, trainee knowledge, time and process measure of skills, behaviors, compared to no training and to non-simulation training. Computer simulation and box trainers improve operative performance. GOALS-GH is an objective and valid measure of skills required to perform LIHR (TAPP and TEP). Training on fresh frozen cadaver has higher face validity than training on a VR trainer. A simulation trainer should be available to all learners to improve operative performance. At the current time, box trainers are preferred over computer-assisted simulation for inguinal hernia repair. A proficiency-based curriculum for the available trainer tool should be established to improve patient outcomes. A validated assessment tool should be used to assess proficiency. A recent study linked surgical skill to patient outcome after bariatric surgery for surgeons in practice, underlining the increased focus on technical proficiency even beyond the training phase. Here we reviewed the literature to provide recommendations how to set up deliberate practice opportunities for trainees to become experts . It is clear that beyond the presence of a training tool, a cognitive and technical training curriculum is vital to improve surgeon skills and patient outcomes. Faculty involvement does not have to be extensive, as research on feedback in other surgical areas suggests [14–16]. Faculty feedback is moderately effective for learner skills training. Terminal feedback is more effective than concurrent feedback for learners’ skills retention (level 2A evidence). A small prospective study reported that providing video-based cognitive and technical instruction along with training parameters and a feedback session after a 6-week period increased practice frequency and improved skills . Search terms: “costs” and “inguinal hernia repair”, “costs” and “laparoscopic inguinal hernia repair”, “cost-effectiveness” and “laparoscopic inguinal hernia repair”, “cost benefit” and “laparoscopic inguinal hernia repair”, “quality of life” and “laparoscopic inguinal hernia repair”, “value for money” and “hernia surgery”, “ QALY” and “hernia surgery”. A total of 333 papers were identified. Due to the reason that the guidelines should focus on the comparison “open flat mesh vs. laparoscopic mesh repair 223 had to be to exclude because of not relevant to this topic, double publication, or referring to pediatric hernia surgery. After reading the abstracts of the remaining 110 papers again 43 papers were excluded because of not reporting any cost calculations. After reading the full text of the 67 papers left, 45 papers were found useful for the development of the presented guidelines. Does hernia surgery offer value for money, is there a difference between open and laparoscopic surgery? Which factors are influencing the costs in inguinal hernia surgery? Which of the cost factors the surgeon is able to influence? Are there possibilities to reduce the costs? Are there differences in direct costs (hospital) between open and laparoscopic repair? Are there differences in indirect costs (societal) between open and laparoscopic repair? Are there differences in the costs per QALY between open and laparoscopic surgery? Which measures can be recommended for cost reduction? Can additional measures be recommended for practitioners who work in countries with limited health care resources? When using disposable trocars and instruments direct costs (hospital) are higher for laparoscopic inguinal hernia repair. Total costs (hospital and societal) are lower for laparoscopic inguinal hernia repair compared to open. Operation time is a cost-relevant factor. Time for anesthesia is a cost-relevant factor. Experience and quality of performance are cost-relevant factors. Simulator-training may improve quality of performance. Hernia surgery is cost-effective. It may be superior to “watchful waiting” in the long run. Laparoscopic hernia surgery offers a higher cost-utility compared to open. Hospitals costs for laparoscopic hernia repair may be similar or lower compared to open but there is a large variation in cost per QALY generated by individual providers. In hospitals with a high case load costs are lower. Non-disposable trocars and instruments must be considered. Non-fixation techniques should be considered. Use of no or indigenous balloon must be considered. Operative performance and education of the surgeons must be improved. To shorten the learning curve of traineesurgeons, simulator training should be introduced. In hernia disease surgery might be superior to “watchful waiting”. From the point of cost-utility laparoscopic inguinal hernia repair may be considered. To enhance the case load centralization of hernia surgery should be considered. Cost calculations in treatment of inguinal hernias are difficult to perform mainly due to the multitude of factors having some influence on the costs. In 2006 a large randomized controlled study (RCT) showed that at 2 years “watchful waiting” (WW) is a cost-effective treatment option for men with minimal or no groin hernia symptoms . But 7 years later the same group of authors found a long-term crossover rate of 68 % and concluded that although WW is a reasonable and safe strategy, symptoms will likely progress and an operation will be needed eventually . In accordance with this long-term result a large register study from UK recently published demonstrated that hernia surgery offers value for money . Moreover these authors found laparoscopic repair more cost-effective and providing less money per quality adjusted live years (QALY) in comparison to open surgery. Two previously published comprehensive reviews reported similar results [4, 5]. With regard to hospital costs only nearly all RCT’s show higher costs for the laparoscopic repair (TAPP, TEP) [6–32]. But the reliability of some of these studies should be scrutinized. Long operating times (>60 min) [7, 8, 10, 14, 15, 19, 24, 31], high recurrence rates for laparoscopic repair (10 %)  and high conversion rate (6–10 %) [21, 27, 29] reported indicate lack of experience. Moreover studies not mentioning the kind of instruments and materials are useless for cost calculations. In contrast to these RCT’s when analyzing routine administrative highly standardized, patient-level cost data (collected in 15 German hospitals participating in the national cost data study) Wittenbecher et al. 2013  found lower costs for TEP/TAPP and concluded that laparoscopic approaches are not necessarily associated with higher hospital resource consumption than open mesh repair. These conflicting data demonstrate clearly that cost calculations in hernia surgery are complex because of the nearly countless number of cost-relevant variables. These factors may be dependent on the patient, the pathology of the hernia, type of anesthesia, case load of hernias per year, type of procedure, skills of the surgeon, operating time, materials, meshes, type of fixation or no fixation, complications, setting in which operation is performed (ambulatory, size of hospital/institution, country, region), number of postoperative visits/home care, time of sick leave, outcome (recurrence rate, quality of life), salaries of the personnel, depreciation of equipment, and an appropriate share of the costs of the most relevant support departments: administration, house keeping, cleaning, sterilization, equipment maintenance. According to that apparently countless number of factors the published data with regard to costs show a huge range from about 126 US-$ to more than 4116 US $ [3, 20]. Moreover even within one institution there is a large variation in costs generated by individual providers . Only a few of these factors may be influenced by the surgeon. Operating time, quality of the surgical intervention as well as the choice of instruments and materials are directly under the responsibility of the surgeon [29, 30, 34, 35]. In most of the papers it is stated that the higher costs found in laparoscopic surgery is mainly a reflection of the greater use of expensive disposable equipment and longer operating time for laparoscopic hernia repair [5, 10, 12, 13, 15, 17, 20, 24, 27, 30]. Multiple sensitivity analyses demonstrated that when use of disposable trocars, graspers, preperitoneal balloon, and stapling devices (“tacker”) were included, direct costs and charges were significantly higher for laparoscopic hernia repair. On the other hand, in a large volume laparoscopic surgery center with minimal use of disposable instruments and avoidance of preperitoneal balloon and tackers for mesh fixation, the actual direct costs of laparoscopic repair are comparable to open repairs . Controversially discussed are the use of low-cost meshes  and the use of indigenous dilatation balloons  for further cost reduction. But without doubt experience is a significant factor for decreasing operating time as well as the rate of complications, recurrences and long-term complaints like chronic pain [29, 30, 34, 38]. In so far surgical performance is directly correlated to quality of life and QALY’S. Different to the results of the calculations of hospital costs (direct) nearly all RCT’s, systematic reviews, and meta-analysis prove that the societal costs(indirect) are less after laparoscopic repair mainly due to more rapid recovery and a shorter time of sick leave [4, 5, 7, 10–13, 15, 16, 19, 30, 35] when compared to open surgery. In summary, up to now due to the higher hospital costs worldwide acceptance of laparoscopic hernia repair is low despite less pain and more rapid recovery in comparison to open surgery. Therefore cost containment measures are to consider like increase of the case load (more rapid depreciation of equipment costs, large experience) , shortening of the learning curve and improvement of surgical performance by standardizing the technique and systematic training [38, 40]. Other recommendations are using non-disposable trocars and instruments [24, 25, 41, 42, 43], avoidance of “tacker” fixation  and implantation of low-cost meshes [36, 45].